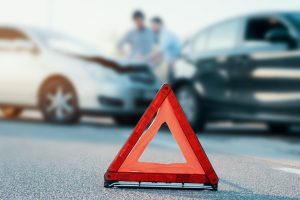 Morris County Attorneys Handle Auto Accident Cases Without Insurance | Penalties For Driving Without Insurance Morris County NJ | What is Uninsured Motorist Coverage? Driving can be a very stressful and the statistics available show that it is stressful for good reason. Driving without insurance for many can be a cause of worry, high stress and a catalyst for conflict with law enforcement and state law. Being involved in a car crash without the required coverage can turn a bad situation into a catastrophic event in someone’s life. With all of that said, there is some good news, in most cases you still have options that won’t land you in jail or lead. In the regrettable event that you are involved in an auto accident and you don’t have insurance, you still have several options. 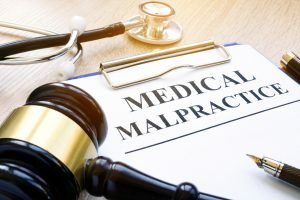 The first action you should take when you are involved in an auto accident in New Jersey with no insurance is to contact a personal injury lawyer. The experienced New Jersey car accident lawyers at The Law Offices of Michael P. Burakoff serve towns across New Jersey, Morris County, and Sussex County, including East Hanover, Netcong, Dover, Chatham, Hopatcong, Parsippany, Rockaway, Newton, Florham Park, Mt. Olive, Denville, Morristown, and more. We have the experience, compassion and skill to provide the legal assistance you need. If you or a loved one get involved in a car accident without insurance or if you have been injured or your vehicle damaged by an uninsured driver in New Jersey, contact us today to put an experienced and skilled advocate on your side. Moreover, New Jersey law – Statute 39:6B-2 – actually criminalizes not having motor vehicle insurance. First-time offenders may be fined from $300 to $1000, stripped of the ability to drive in New Jersey for a year legally and/or made to perform community service. Further violations and convictions raise the maximum fine to $5000 and as many as 14 days of imprisonment. Repeat offenders are also prohibited from driving for up to two years and must then re-apply for a driver’s license. Despite these strict penalties there are still thousands of drivers who do not have insurance. Most of them may not know what to do if involved in an auto accident. If injured many may want to know “do I have a personal injury claim?” As well as many other questions such as, what is New Jersey uninsured motorist coverage? 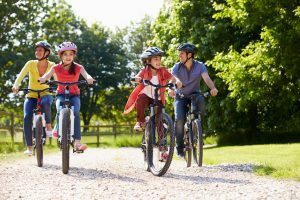 Can I Sue For Damages in Sussex County NJ If I Have No Insurance? If you do not have insurance and are not at fault in an auto accident where there are serious injuries of any kind or substantial damages to your vehicle you may be able to recover some economic damages, such as damage done to your car as well as medical costs. However, even if the other driver is found by the court to be 100% at fault for the car accident, you will not be eligible to receive compensation for non-economic damages, such as emotional distress. The intended purpose of uninsured/underinsured motorist coverage is to guard against situations in which one party in an automobile accident does not have enough insurance or does not carry insurance at all. Therefore, the intent of mandatory uninsured/underinsured motorist coverage is to protect people against irresponsible individuals who have injured others, due to their own fault, while operating an automobile or other motor vehicle. If the uninsured or underinsured individual is not found to be at fault, most underinsured/uninsured motorist policies will not apply. However, if you are involved in any type of car accident is is recommended that you contact an experienced personal injury attorney as soon as possible. 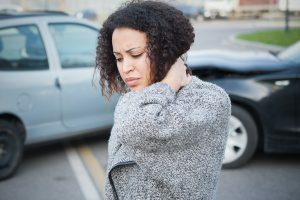 The Law Offices of Michael P. Burakoff has extensive experience recovering full and fair compensation for motor vehicle accident injury victims who are both insured and uninsured in towns across New Jersey, Morris County, and Sussex County including Newton, Morristown, Parsippany, Mt. Olive, Hopatcong, Roxbury, Andover as well as neighboring communities. Our firm has the resources and experience necessary to represent you in insurance claims and lawsuits following all types of motor vehicle accidents. Speak with Michael Burakoff and our legal team today for a free and confidential consultation regarding you or a family member’s motor vehicle accident injuries and damages, and how we can help you to receive the compensation you need and deserve. Please contact us online, or through either our Morristown office or our Newton office at (973) 520-0525.